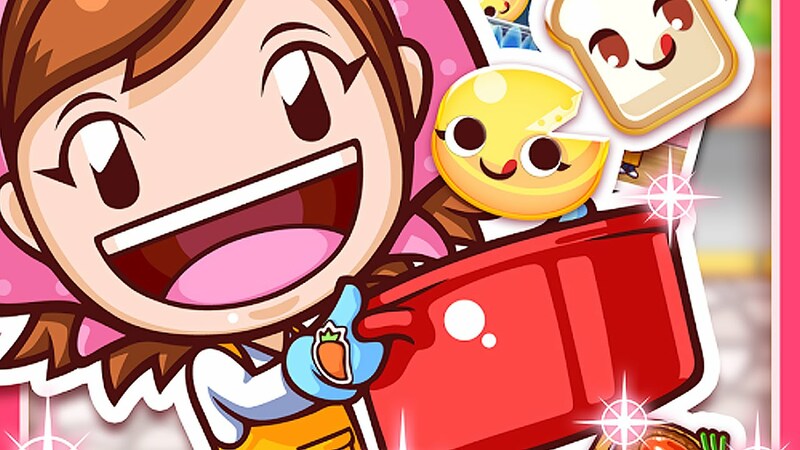 Get cooking with this brand new Cooking Mama-themed puzzler! I never thought I'd see the day where Cooking Mama transcended the normal confines of cooking games to become a puzzle-based mobile game, but then here we are. Cooking Mama Let's Cook is an interesting mixture of match-3 gameplay with Disney Tsum Tsum elements. It also incorporates some of the fun cooking elements we know and love Cooking Mama for, so it's the best of both worlds. But don't just jump in and start grabbing ingredients. Keep these tips and tricks in mind and you may just become as great as Mama one day! While you need to collect three or more similar Foo-Dons to make a match, you can also combine them for larger items that win you better combos. Often jamming some together into one larger food item will not only net you additional space on the game board for new Foo-Dons, but you'll be able to make some even better combos because of the larger Foo-Dons being combined into one larger item. If you keep doing this you can expect some even crazier combos, and you'll fill the "Happy" meter even faster. Keep tapping to form larger chains and rapidly fill those meters You may want to spend some time strategically tapping various areas of the game board, but sometimes it's a good idea to tap relentlessly too. This will fill the meter quickly and keep your customers' Happiness raised as high as possible. All you need to do is keep an eye out for small groups and go for them, no matter how they're arranged. You'll also fill the "Heat Up" meter as well. In the end you'll find that you've brought additional diners and earned even more coins for your handiwork. It may seem detrimental to pay less attention to gameplay, but in some situations this can actually help you out exponentially. Sometimes you just have to think outside the box to improve your game! Shop Quests are miniature missions you can complete in between playing the game that net you additional items like coin bonuses and additional lives. You might need to reach a specific target score, make a specific dish, or use a particular skill while playing. Many have a special "1 Play" sticker to their right, which means you'll have to tackle the special mission during one game. If not, you can reach the goal cumulatively by playing several different times. You don't have to worry about finishing everything in one go, which is much less stressful. You don't need to waste time or resources on every single power-up there is to purchase in-game. Instead, invest in the Foo-Don reduced power-up as well as the Timer if you really want to make things simpler. The Timer gives you 10 more seconds to play each board, while the Foo-Don Reduced power-up gives you only 4 different Foo-Don to match on the board. If you have less Foo-Dons to concern yourself with, obviously you'll make more matches and more of those sweet, sweet points!